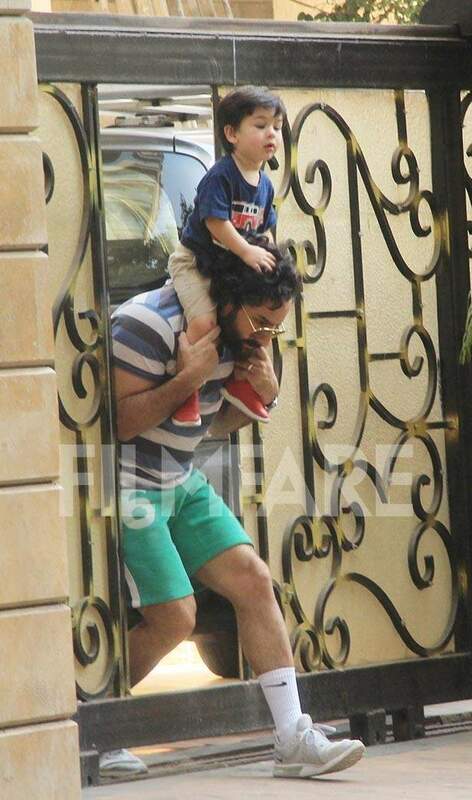 Saif Ali Khan and Taimur Ali Khan are one of the most sought after father-son duo in Bollywood. They are often clicked together on play dates, lunches and even holidays. Today, the cameramen snapped the duo as they stepped out for a walk in Mumbai. 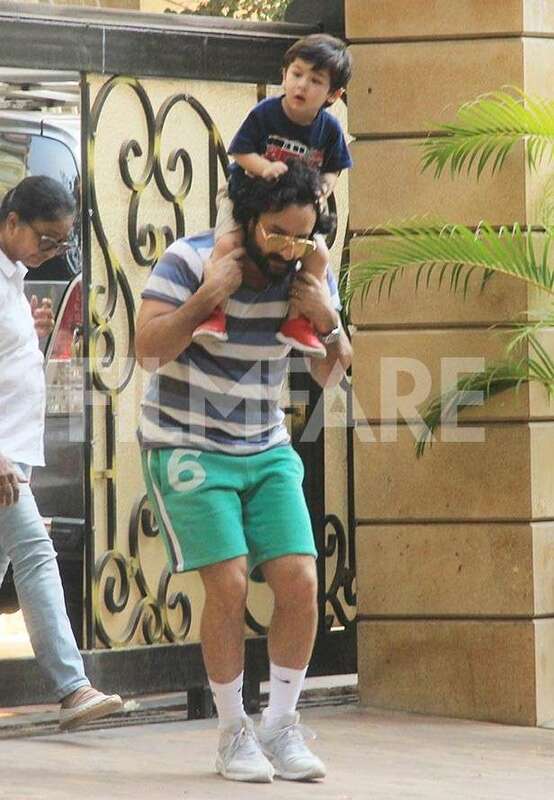 Taimur was clicked taking a ride on daddy Saif’s shoulders.